Come to the official grand opening party at the Sigma store at the Mall of America on Saturday, Jan. 5 from 1-3pm and meet one of YouTube’s most popular beauty experts MakeupbyTiffanyD! Keep reading to get all the event details. Tiffany, or better known as her YouTube name, "MakeupbyTiffanyD," is a 27-year-old beauty guru, blogger and self-taught makeup artist from Atlanta, Georgia. Tiffany has been referred to as one of the most relatable gurus in the YouTube beauty community. Her YouTube channel has grown to over 560k loyal subscribers. She prides herself on creating videos and sharing beauty advice for a wide range of women; young teens to those in their 50s and beyond. 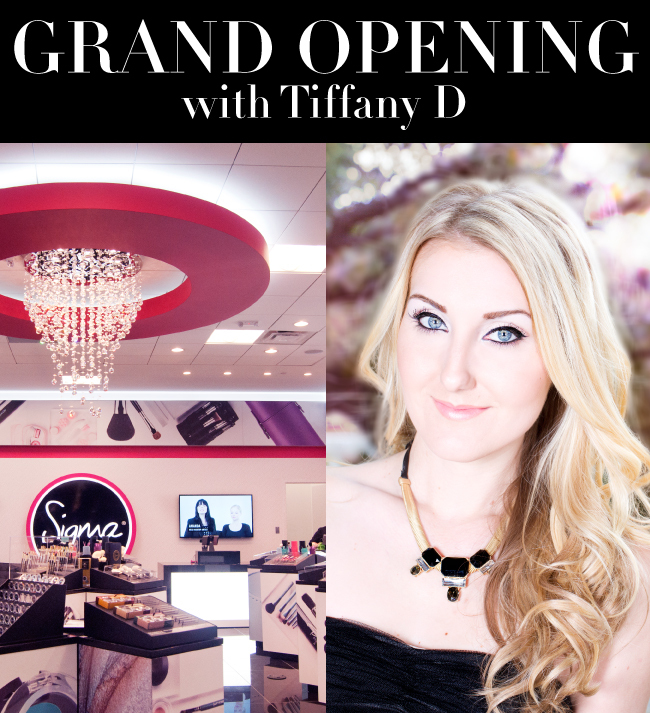 In addition to meeting the glamorous TiffanyD and picking up her NEW limited edition Defining Eyes Palette, event attendees can also look forward to a makeup demonstration, a free gift bag, and an entry to an exclusive in-store giveaway featuring Tiffany’s five favorite Sigma products! BONUS – Sigma will be offering a 10% off store-wide discount during event hours. RSVP to marketing@sigmabeauty.com to secure a gift bag! Can we look forward to seeing you there? This is oh so exciting! I am so proud of you! I've been following you since you first started filming in the back of your closet haha! You've come along way!